Again, the pic is enlargeable, with the usual caveats (cold, terrible hair, and so on…). 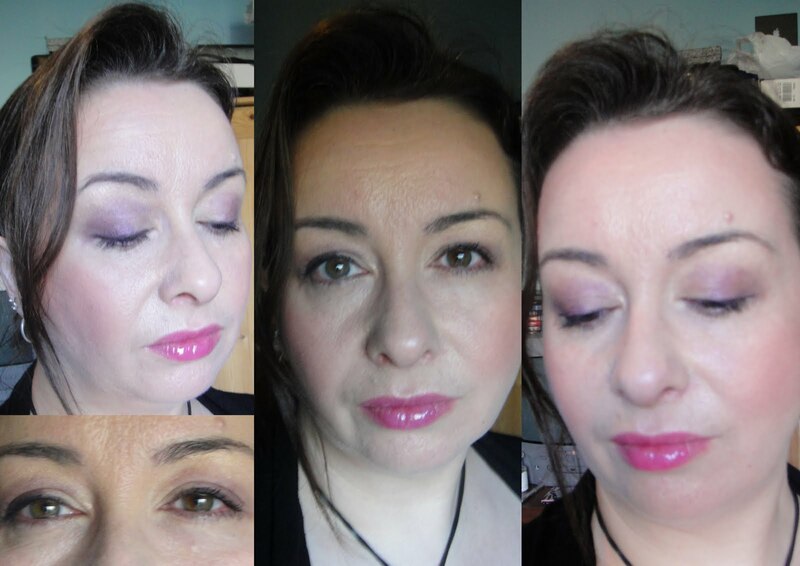 For reference, I used the Shimmering Sand and Ultra Violet shadows – which blend out pretty well, actually – alongside the Exotic bronzing blush and the Wild Orchid lipgloss, which is beautifully wearable, and surprisingly versatile, bearing in mind it’s rather … er … scary shade in the tube. Tastes nice too, light vanilla scent. Don’t worry, I’ve got other things to talk about as well as showing you my ugly mug (again) today … back later! Previous Post Wherefore Art Thou Organic Wednesday? Next Post Get A Movie Star Hair Cut! Gorgeous look! I am tempted by most of this collection. I love the Estee Lauder eyeshadows, my latest FOTD was with the deluxe palette. I pretty much want everything!! This looks gorgeous. Very tempted by the blush/bronzer thingy and gloss. Looks lovely – you can really carry off bright lippies well!